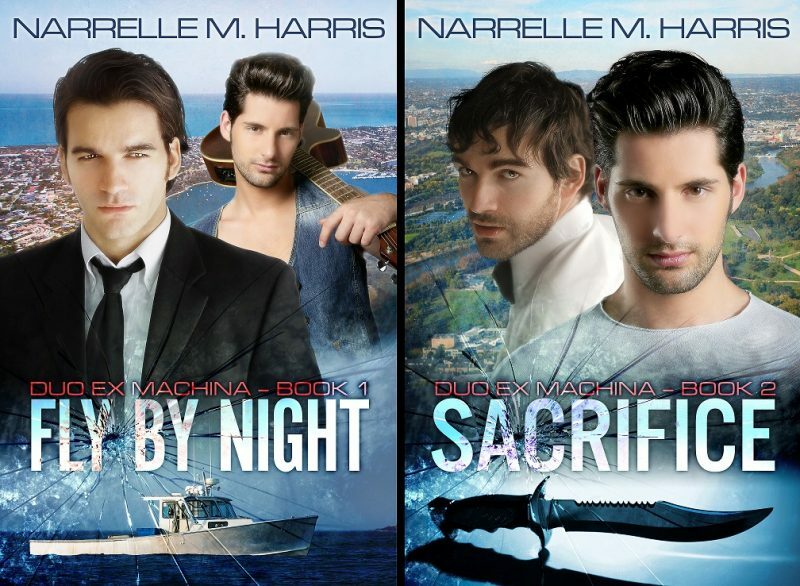 Fly By Night was first published in 2004 by Homosapien Books, containing the novellas Fly By Night and Sacrifice. Fly By Night: It’s 1999. Indie musician Frank Capriano returns home to Perth for his mentor’s funeral. His Duo Ex Machina bandmate and boyfriend, Milo, is with him. Together they must contend with a friend in financial crisis, unwelcoming family, old jealousies and a smuggling ring. A missing persons case soon turns to murder, and Frank and Milo are caught in the middle. Sacrifice: Duo Ex Machina has a new album on the verge of storming the 2004 charts. Frank and Milo’s promotion tour in Melbourne is hijacked by a serial killer stalking gay men – one of them an old friend from Milo’s past. Juggling their heavy PR schedule with Milo’s hometown return and this sudden loss is bad enough. Finding out who the killer is – and his chosen final victim – will be so much worse. 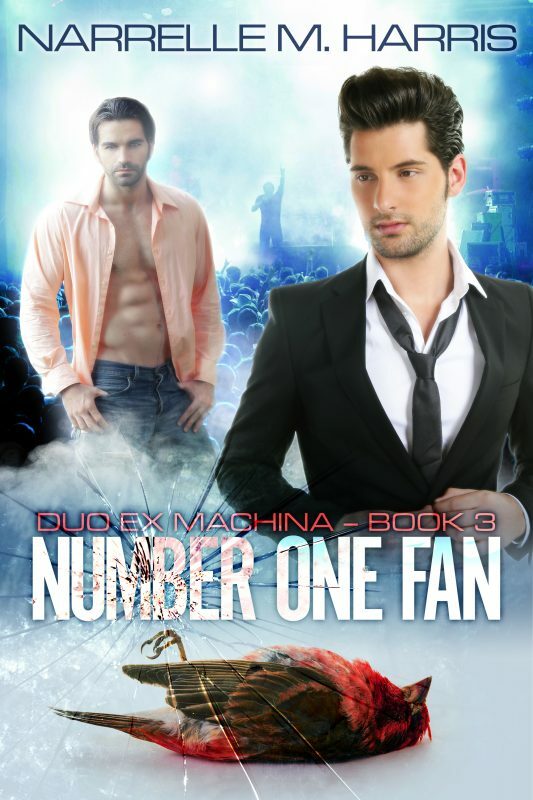 Number One Fan: Five years after a serial killer nearly put an end to Duo Ex Machina, Frank and Milo are still dealing with the aftermath, which included a breakdown and the derailing of their career. But they’re still together, still in love, and still making music. A new album is out, and Frank is producing too, helping former pop princess Gabriella Valli relaunch her career. Maybe this will be the comeback they’ve been looking for. As long as the mysterious letter-writing Number One Fan doesn’t turn out to be trouble..
OR Pledge to my Patreon and get Fly By Night and its sequel Sacrifice as a welcome gift! Fly By Night was nominated in the Ned Kelly Awards for the “Best First Crime Novel” in 2004. Fly By Night was also translated into Croatian under the name Zrtva. You may find a copy if you hunt around on the net! 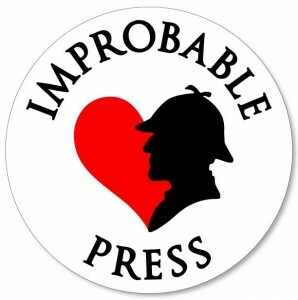 ‘These nicely paced stories combine appealing characters, mystery, social commentary and a touch of humour in a readable mixture that maintains the right balance between entertainment and reflection. Fresh and enjoyable, the book also makes an interesting change from the familiar, and usually predictable, mainstream crime-fiction offerings.’ ~ Jeff Popple, The Canberra Times, 4th April 2004.